Innospec Inc. said it has launched an exciting new range of marine fuel additives. These products will help the shipping industry comply with the new regulations regarding maximum sulfur content of marine fuels, which comes into force on January 1st, 2020. The International Maritime Organization (IMO) regulation, known as IMO 2020, mandates the reduction of the sulfur content of marine fuels to 0.5% from the current limit of 3.5%. Ship owners and operators have to comply by using the new fuels or installing exhaust scrubbing technology. Compliant fuels will be an issue for the industry in terms of cost, availability and performance. Innospec has been working on innovative new solutions for more than a decade and has developed unique fuel additives for use in IMO 2020-compliant fuels to solve a wide range of problems. “Innospec’s Octamar™ product range tackles the key issues of fuel stability, fuel compatibility, low temperature operability, lubricity improvement, combustion improvement and corrosion protection. Our products are also capable of improving SFOC – specific fuel oil consumption – bringing economic benefits. We also manufacture the all-important tank cleaning additives which will clean tanks, fuel systems and pipelines in a more cost-effective way than traditional methods,” said Phillip J. Boon, executive vice president and chief operating officer, Innospec. “This is by far the largest regulation relating to marine fuel impacting 75% of the fuel used by the shipping industry. Given our many years’ experience and technical expertise in this market, we are in an excellent position to provide technology and service to our customers, combined with an established global distribution network,” said Giorgio de Leonardis, vice president EMEA, Innospec Fuel Specialties. 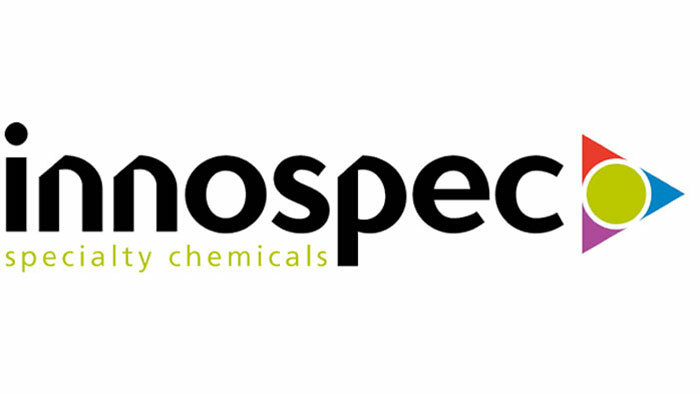 Innospec Inc. is an international specialty chemicals company with approximately 1,900 employees in 23 countries. Innospec manufactures and supplies a wide range of specialty chemicals to markets in the Americas, Europe, the Middle East, Africa and Asia-Pacific. The Fuel Specialties business specializes in manufacturing and supplying fuel additives that improve fuel efficiency, boost engine performance and reduce harmful emissions. Oilfield Services provides specialty chemicals to all elements of the oil and gas exploration and production business segments. The Performance Chemicals business creates innovative technology-based solutions for the personal care, home care, agrochemical, mining and industrial markets. Octane Additives produces octane improvers to enhance gasoline.